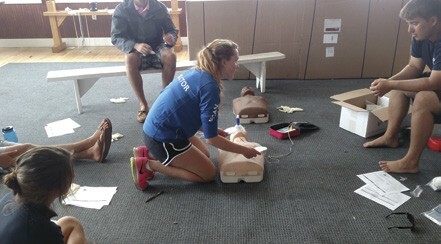 Imagine this: it’s a summer day, and you’re in your junior sailing office calling 911. What happened? With a junior sailing program, regardless of the effort you put into prevention, there are myriad possibilities that could lead to a crisis. Now, let me press pause – do the instructors and staff know what to expect in this situation? Do you know who will be answering the phone when you call? Do you know who they will be sending? Do the medical responders know where to find you and what to expect when they arrive? Are you feeling anxious yet? In an emergency situation, no one has time to think about what might have been done to alleviate the stress and anxiety of the moment and streamline the process of getting appropriate help. You can give yourself that time, but you need to start thinking about it now. Sailing is a safe sport, but it does come with an element of risk and danger, which is magnified by the number of moving parts in a junior sailing program. 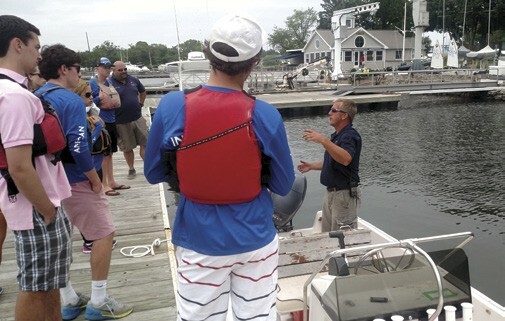 An integral part of your club’s preparation for the sailing season should be creating an emergency action plan (EAP) and doing a run through drill to practice the steps in case something goes wrong. Make this trial as realistic as possible by including your local emergency responders in the drill. After all, would you rather meet those 911 responders for the first time in June when you can debrief what happened over a soda, or in August when the crisis hits? Who will be the first responders to an emergency? How should they respond? What training do they need in order to respond as needed? How will they communicate that they need help? What equipment and materials will you need to respond before emergency services arrive? Where are these kept? 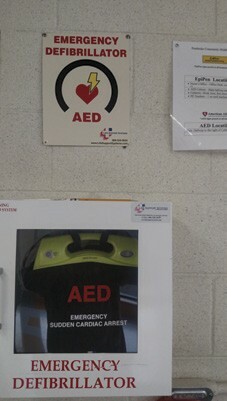 Do instructors know how to use equipment like defibrillators? If the crisis is on the water, who will bring injured sailors in? Where will they go? Which dock is best for carrying an injured sailor to an ambulance? Who will supervise other sailors in the class? Will they remain on the water? Who will meet the emergency responders? Where will you meet them and where will they be directed to go? Your EAP should not be top secret. Post it visibly. Laminate copies for your coach boats. It’s also not a dissertation. Your lawyer might want to write a complex booklet with a how-to plan for all imaginable possibilities, but you need something that your instructors will understand and remember. Ask for help when writing your EAP. Try to include as many perspectives as you can from your sailing program and don’t be afraid to think creatively. Your EAP should be a collaborative plan, not a directive from on high. And once created, it should be a living document that is amended and updated as your sailing program changes. Defibrillators save lives. Does your club have one? And of course, run a drill to test your plan. Make this trial as realistic as possible by including your local emergency responders in the drill. After all, would you rather meet those 911 responders for the first time in June when you can debrief what happened over a soda, or in August when the crisis hits? Expect some hiccups during the drill (this is why you practice!) and don’t be afraid to try something new if it seems to make sense in the moment. For instance, when running a drill at Noroton YC several years ago, the sailing instructors realized that the area they had been told to land with an injured sailor didn’t make sense, so they went to one that would be easier. We also learned that we needed two people to direct the ambulance and help it back into the drysail area. After your drill, hold a debrief with all involved to determine what worked and what could be improved. If you do not have an emergency action plan, you need to develop one. This applies to any sailing program, be it large, small, year-round, seasonal, at yacht club or community sailing center. And once you have one, you need to revisit it at least once per year to ensure that it is up to date and everyone is familiar with it. Good luck and safe sailing! Clemmie Everett teaches History at Rye Country Day School in Rye, NY. She spent many springs coaching high school sailing, many summers coaching junior sailing, and was the Sailing Director at Noroton Yacht Club.